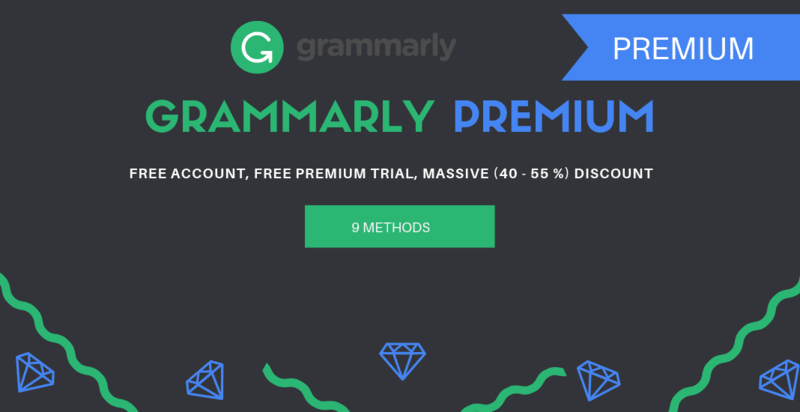 All together you will see 9 methods, and the first one is for Grammarly Free account, after that seven methods for Grammarly Premium Free Trial (one work occasionally, three is working now), the last one gives you a massive discount on Grammarly Premium. Grammarly is AI-powered online tool that automatically detects potential issues in the text and suggests context-specific corrections for grammar, spelling, punctuation, word choice, style, and plagiarism. It is used by millions of users to create clear, mistake-free, and impactful content for their email, blog article, and business proposal. Grammarly free version provides Critical grammar and spelling checks. However, Grammarly Premium version offers many advanced features in addition to Grammarly free. Plagiarism detector that checks over 16 billion websites. Human professional proofreader to check your content right away for a little more or less of charge. 24×7, round-the-clock help and support! 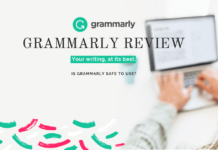 To know more about the Grammarly Service, have a look at Grammarly Review 2019: Is Grammarly worth the money? Now, let’s get to the point ” how to get Grammarly premium account for free?”. Like every other service in the internet, Grammarly also has the many different ways to get Grammarly Premium for, but now, it’s not easy as it used to be. Most of the conventional method like Grammarly Premium by referral, Grammarly Premium trial for a new user, etc. are discontinued or paused. Similarly, Most of the technique found on the internet is either fake or expired, and we waste our lots of time trying if any of them works. So, I will list here the most common fake or expired method that looks like real & genuine, but not, along with the actual way to get Grammarly premium account for free. How to create a Grammarly Free Account? How to get a massive discount (40 – 55 %) in Grammarly Premium? Click on “Add to Firefox It’s free” or “Add to Chrome It’s free” or similar button on the particular browser. Now, Grammarly browser extension page will open in new tab. Click on “Add to chrome” or similar button for a particular browser and install Grammarly browser extension. You can also skip the extension installing part by clicking “Not now” in the first tab. After installation of the Grammarly extension, You will see a sign-up page to Create a new Account. Now, Create a new account using Email, or can continue using Facebook or Gmail. If you create an account by typing email, you will get an option to set a separate password for Grammarly account. 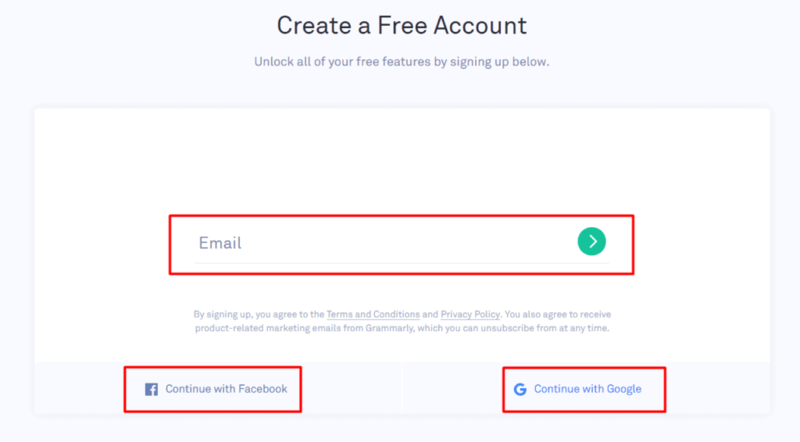 If you continue using Facebook or Gmail, you can directly login to Grammarly using same Facebook or Gmail. Choose an option that matches you, or you can skip this page by clicking the Skip button. Select “Continue to Grammarly It’s Free” for Grammarly free account. If you want a Grammarly premium account, then select “Get Grammarly Premium” and proceed to check out. Your account is ready to use. Now, You can use Grammarly web application for free as well as you can download and install Free Grammarly add-on for Microsoft Office (word, outlook), Free Grammarly Native apps for Windows, Free Grammarly extension for Chrome, Firefox, etc. This method occasionally works only through their official website. Grammarly has discontinued “7 days Grammarly Premium Free trial” that they used to offer for a newly registered user, but you will find tons of blog sharing this is one of the best 100% working method. However, they may provide free trial occasionally as explicitly mentioned in their terms, so, check only on Grammarly official website. Grammarly may offer a free trial membership from time to time with regard to certain Software or Services (a “Trial”). So, Let’s have a look at how it looks like so that you can skip whenever you encounter this type of information on the internet. Just follow these step to get 7 days Grammarly Premium Free trial easily. First, clear cookies and cache of your browser. Now, you can Enjoy one week of the premium trial of Grammarly. Grammarly has a very awesome affiliate program that gives 1-month Grammarly Premium for free for all new affiliates along with $25 bonus for writing first Grammarly review. You will earn $20 per new premium subscription from your affiliate link. You can make more than $10K per month if your post with affiliate link goes viral. This is the one reason people are sharing fake method by calling “Method of getting Grammarly Premium for Free”. If you are a blog writer, vlogger or social media influencer with strong followers, then you can go for Grammarly Affiliate Program. Your application will get approved if Grammarly team believe that you can reach a broad audience and it helps Grammarly to expand their market. How to get Grammarly Premium for Free using Grammarly Affiliate? A small portion of Email from Grammarly Affiliate Team. First, create a new Grammarly Free Account by clicking here as mention above in “How to create a Grammarly Free Account?” section. Then, go to Grammarly Affiliate Sign-up page by clicking here. Fill all required detail and do not forget the website section. Mention all your blog and social media with a large amount of active follower in the website section. Now, wait for 2-3 business days for approval. If you didn’t get approved while having a strong presence in online and still confident that you can attract sales, then again, you should request and try to convince them by replying the email, or by reaching out to their social media or through their support forum. Now, reply to the email from Grammarly Affiliate team with the detail of newly created Grammarly account to provide 1-month Grammarly free trial. It will take 3 – 4 business days to get activated. To get $25 bonus, you will have to write a fair review about Grammarly service and have to send the link of review to Grammarly Affiliate team. Now you can enjoy your 1-month free Grammarly Premium while earning with Grammarly affiliate. If you are a blog writer, vlogger or social media influencer with a large number of active followers, then you can ask Grammarly team for review. If they believe your review can reach a broad audience & helps them to grow their sales, then they will provide Grammarly Premium account for free. You can contact Grammarly Team via their facebook, twitter or support forum asking for Grammarly Premium so that you can write Good Grammarly review. However, there is no fixed period that you can get free Grammarly Premium account. It may be for a day, week or month. First, create new Grammarly Free Account clicking here. Note: If you don’t know how to create a Grammarly Free Account, look on “How to create a Grammarly Free Account?” portion at the top. Write proper email explaining “why you need Grammarly Premium Free trial?”, “where are you going to publish your Grammarly review?”, “how will your review reach the large audience?”. Send your email to Grammarly Team via their facebook, twitter or support forum. If they believe your review can reach a broad audience & helps them to grow their sales, then they will provide you Grammarly Premium Free Trial for certain days. You just upped your writing skills with Grammarly, how about upping your security with Dashlane? Read our in-depth Dashlane Review 2019: Is Dashlane Safe & Secure to Use? If you are a teacher, student on any educational institute or employee on the content writing industry, then you can ask your faculty head for Free Grammarly Premium account. Most of the educational institute & content writing industry has already taken Grammarly EDU / Grammarly Business license for their organization, so you can easily get Grammarly Premium for Free. If you are running large educational colleges, universities, professional educational institutions, schools or any business then you may be looking for Grammarly EDU & Grammarly Business plan. Using Grammarly EDU & Grammarly Business plan, you can provide your entire institution unlimited access to Grammarly Premium feature. In case, if you are looking for having hands-on experience of Grammarly Premium before buying licenses for your institution, then you can reach the Grammarly team asking Grammarly Premium trial. Go to Grammarly website and create a Grammarly Free Account. Note: You can find step by step procedure to create Grammarly Free Account at the top of this page. Contact Grammarly Team and provide your requirement scenario clearly. You can reach Grammarly through their email, facebook, twitter and support forum. Do not hesitate to reach the Grammarly team. They will be happy to provide Grammarly Premium Free trial as pre-testing for large customers. 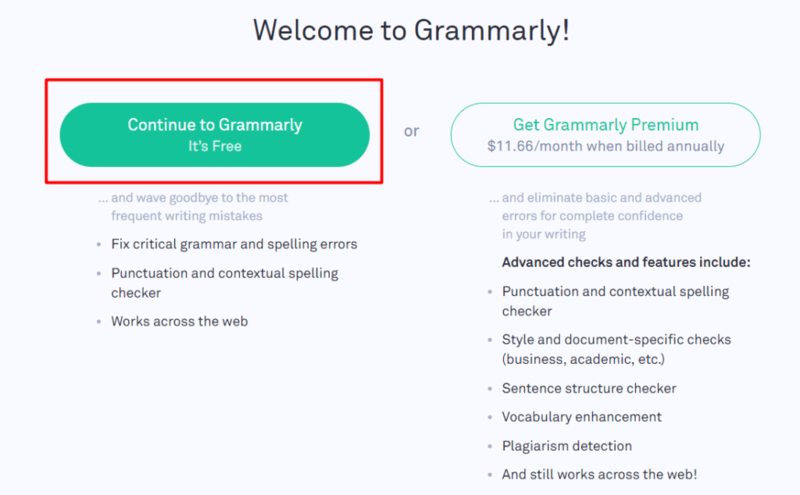 This method of getting Free Grammarly Premium trial is expired and doesn’t work now. Grammarly Referral Program is one of the most loved methods for getting Grammarly Premium Free trial because Everyone was able to get 1-week Grammarly Premium Free Trial easily by inviting single user and was able to get up to 50 weeks of a free trial by inviting 50 friends. Grammarly Referral Program was dead a long time ago. However, a lot of bloggers are claiming this method as working, and people are easily get tricked as a lot of bloggers are sharing this method again and again. 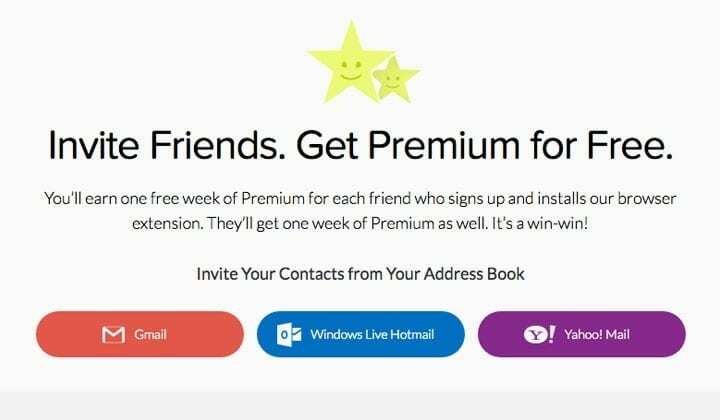 So, if you saw an article on “Grammarly Referral Program for getting Grammarly Premium Free Trial”, then it is time to move without wasting time. Go to the Grammarly website. Create an account with a new email address. Install Grammarly extension on your browser. 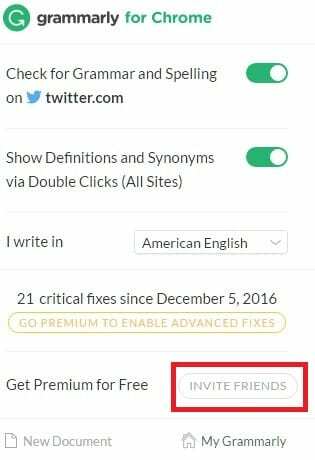 Click Grammarly extension icon and go to invite friends option. Now, the invitation page will open, copy your referral link and share with your friend. With every sign-up using your referral link, you will get one week of Grammarly free trial. Note: Image used in this section is of when Grammarly used to give Grammarly Premium trial for free using Grammarly Invitation. This method of getting Free Grammarly Premium has less than 1% chance of working and is an illegal way of doing. Another, the most common method that you will see everywhere on the internet is free login credentials and access code. In this method, you will be using of other’s access code leaked from volume license plan (Grammarly EDU / Grammarly Business). This is one of the illegal ways of using Grammarly and has a very rare chance of working as these details have been circulating for years. Still, if you get lucky and make it work, there is no guarantee of getting Grammarly premium for a certain period as this may get deactivated at any time from the licensor. To make it clear, I will show the procedure so that you can easily skip. Sign-up to Grammarly Edu using .edu or Grammarly Business with specific business email. Now, your Grammarly Premium account is ready. This method is expired and doesn’t work now. This is another method people are suggesting all over the internet after Grammarly discontinued their Grammarly Premium Free trial for a new user. However, Grammarly has also changed their policy, and they are not giving any refund after purchasing their service. This means it doesn’t work at all, but you will see this all over the internet. So, let me show you how it looks likes so that you can move on when you see this type of misleading post. Install the Grammarly browser extension and create a new account. Upgrade to the premium version by clicking “Get Grammarly Premium”. Use Grammarly Premium for 4 – 5 days. If you like Grammarly, you can continue using, and you will be billed accordingly. As I mentioned earlier, there is no easy way to get Grammarly for free. If you are looking for Grammarly Premium trial to test before buying a long time subscription, then you should go for the 1-months premium subscription. So, you can have hand’s on experience on Grammarly Premium and can go for long time subscription. As well as, you can easily get a 40-55% massive discount from Grammarly in your email. Follow these simple step to get a heavy discount in Grammarly Premium purchasing. Verify your email and wait for 2 – 3 days. Grammarly will send a promotional email containing 40 – 55 % discount for a new user. Click on upgrade Now button in the email and subscribe Grammarly Premium with a massive discount. You will get 1-year of premium service at the price of 6-months which is equivalent to getting 6-months of Grammarly Premium for free. 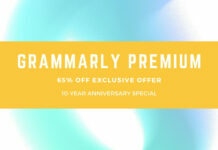 Read our Grammarly 10-Year Anniversary offer post to know about on-going 65% discount exclusive offer. We hope this tutorial helps you to get Grammarly Premium. If you are having any problem following this tutorial, please do let us know in the comments below. You can always reach us out at Prabidhi Info Facebook and Twitter for any tech-related support and queries!